Read all the way down to find out how to WIN A FREE DIGI!!! Good Monday morning everyone! I do hope that you have had a wonderful weekend. the sour cherry cobbler, so its worth the wait! we are at Challenge # 6 and it is "Bursting with Buttons"
bakers twine is purple and green as well! 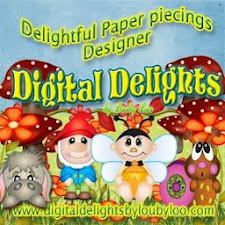 how you can be in the drawing to win this Cute DigiDarla image. 2. 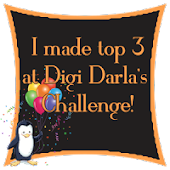 Submit a creation using a Digi Darla image to the "Bursting With Buttons Challenge"
3. 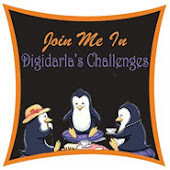 Leave a comment on the "Bursting With Buttons" Post at DigiDarla Challenge Blog! 4. leave a comment here on my blog letting me know you did all 3.
then I will draw a winner April 7th after the close of the Challenge and post to my blog! some inspiration, and good luck in the drawing, can not wait to see what you have created! Hi Dawn. What a fabulous card, and I love your image, how sweet is that. buttons go perfect with your colored digi.love the big button and frame. I love how you used that twine!! Gorgeous card, Dawn! This came out wonderful, Dawn! That image is so cute and works so well with this theme. I've been a follower since the blog hop. Comment and challenge entry are done. 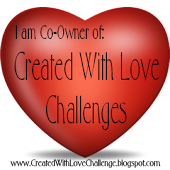 I've been a follower since the blog hop. Comment and challenge entry are done. Really cute card. I love it and I am following your blog now and my card will be uploaded soon!! Dawn, I love this sunbonnet Sue image and you did a great job with it. Love your water mark too!